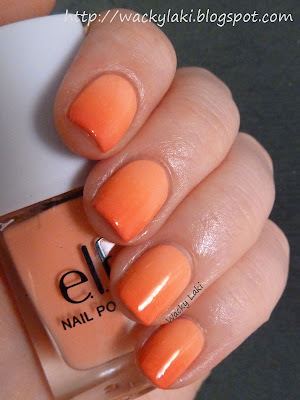 For the manicure I started out with a peachy gradient created using Elf polishes. 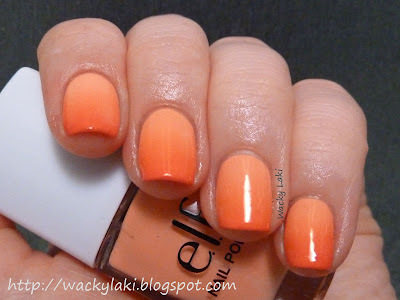 Scroll down for details on polishes used. Then, for the stamping I used the flower pattern from Bundle Monster plate BM-205. Spring colors... check! Flowers... check! Plate ending in 5... check! Yay! My original intent was to stamp the flower pattern twice, using the lightest and the darkest colors from the gradient. I had hoped that it would smoothly fade into the gradient on each end. This didn't work too well and the stamping was hardly visible so I stamped a third time using Wet 'n Wild French White Creme. The white is mostly what is visible in the photos, but if you click to zoom in you can see some of the other layers. After I was done with the flowers, I added the bee using Shany plate SH05 with Wet 'n Wild Black Creme. Second plate ending in 5... do I get bonus points here? I'd love to know your thoughts on this mani! ahhhh...this is SO CUTE! Great stamping! I love it! It's so pretty! Love the gradient and the flower stamping! 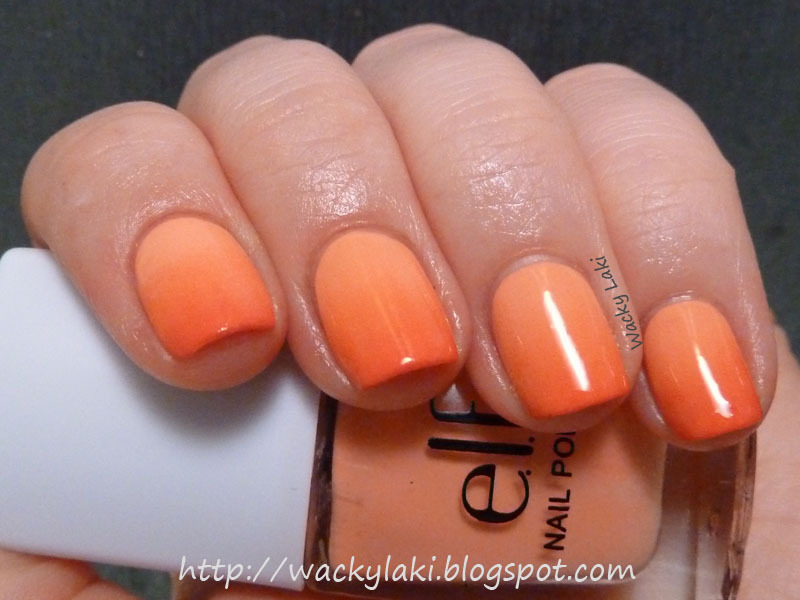 The gradient is perfect, your nails are always beautiful! I am a mother to, my girl is 5 years old, so I spent the day with her! This is so amazing! Love the bee! Daahhhh!! That little bee is the cutest :) This mani makes me smile. Beautiful as usual!